Postcards "Draw My Story of Stamps"
The contest "Draw My Story of Stamps", organized by the Museum of Communications in 2013, was designed to create drawings through a stamp or souvenir sheet of "Macau, China". 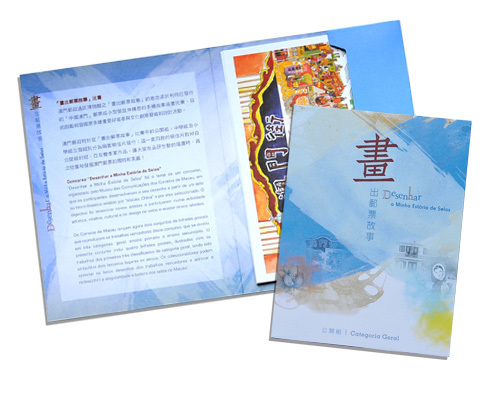 To encourage new artists to participate in cultural creative arts and design activities, and to recognize the commitment of the winners of this event, the Macao Post adopted the winning entries in the contest "Draw My Story of Stamps" for the issuance of two sets of postcards. One set of 4 postcards for the winning designs of the General Category is priced at MOP28.00. Another set of 7 postcards for the winning designs of Categories Primary Student and Secondary Student is priced at MOP49.00. 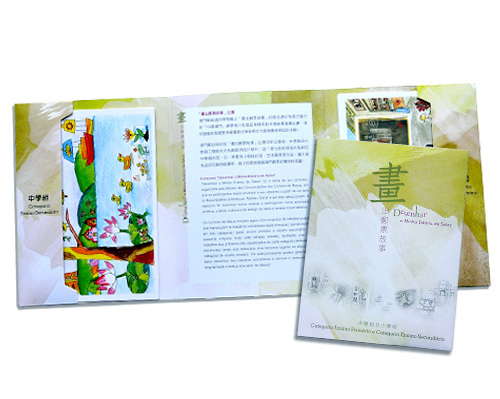 The postcards are available for sale on 9th October 2014 at the Macao Post Headquarters and all post offices.